During the months of September and October, 148 soldiers joined the Wing "family", participating in preparatory workshops specially designed to their needs. During the workshops, soldiers met with career consultants who they will work with on a one-on-one basis throughout the next two years after their release from the army. The professional team will help them every step of the way to fulfill their potential, begin their studies and their civilian lives while realizing their rights. 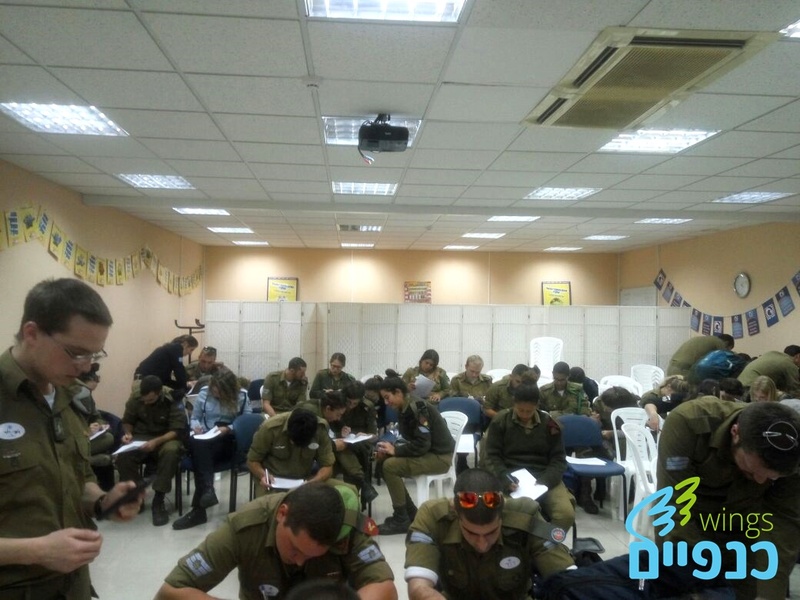 Also, during September and October, 180 soldiers received counseling regarding their careers, part of the process of choosing the right profession. Additionally, 71 soldiers received financial counseling and direction. These are all lone soldiers that independently manage their finances, a complex task. When we discover that a lone soldier has been wronged in some way, or found themselves in some financial predicament, we work with the authorities and assist them. For example, during October a mobile phone was stolen from a new immigrant, a lone soldier who had completed her military service and was on vacation in Greece. On her return to Israel, she reported the theft and discovered that her phone had been used to run up a bill of approximately 10,000 shekels. Her many attempts to explain the situation to the phone company were in vain, and the company insisted she pay the full amount. After contacting Tzvika, our financial advisor, and after many long negotiations on the phone with the company, he managed to reduce the amount to just 1450 shekels.